When it comes to dates most of the people fail to figure out the ideas for a romantic date. Usually, people end up taking their partners to an expensive restaurant, movies, dinners etc and we keep on repeating this. While there’s nothing wrong with those types of dates, don’t you think it’s common now! I think, not all romantic dates have to involve grand gestures or a lot of money—they just require a little creativity. Dates never meant, always having dinners, watching movies and spending money. An ideal date is what makes you feel closer to your partner. Most of the people turn their terraces into storerooms, while on other hand people make their terraces into beautiful gardens. Why not we turn them into an exotic date place. What to do? Take out those decorative lights which you use only during the festive season, lighten up the entire terrace. You can use candles too. Also Read | Tips To Make Your ‘Date’ Memorable And Lovable! Everybody like Long drives. Did you ever think of long walks? Imagine your love walking with you holding your hand, breeze falling over your faces. Sounds romantic, isn’t it? Go roam around the city and have ice creams, shakes etc. Try anything, any vendor you find on the roadside. Just enjoy the moment and find happiness in those pretty little things. It’s said that “anyone can take you to a fancy restaurant but only a true lover will cook for you”. And especially if you are a boy, try your hands on cooking. Trust me, your girl is going to love that. It’s a sweet gesture to show that you care for her and she means a lot. You can bake a cake, make a salad, egg curries, even Maggi can do wonders. Have your brunch, lunch or dinner sitting in your garden, balcony or rooftop. It will add a view, just like icing on the cake. Set up your balcony with bedding, lights, drinks, popcorn, chips etc and your personal movie hall is ready. Watch any movie you like, Cuddle each other, get cosy. Do anything you like, nobody’s watching you. Instead of any old biking excursion, roam on bicycles. It will take you back to your childhood and you will definitely get some childhood memories to talk and laugh over. You will feel more bonded to your partner. On a sunny and delightful day, pack your mats, scrabble, badminton, hats and some snacks and drinks. Go to a park or garden, play your favourite games, talk a lot, click pictures, enjoy snacks and most importantly enjoy each other’s company. Cherish your moments & togetherness and make memories. Simple and Romantic, isn’t it? What else is more romantic than enjoying rain with your partner. On a rainy day get out of your bed and go for a walk. Swimming is the best way to chill in hot summers. Each and every person who knows swimming will never deny to a swimming date and when it comes to swimming with your bae who will not enjoy that! It will be romantic as well as increase your intimacy level with your partner! If your partner is an animal lover and loves clicking animals and seeing them then take them to visit a zoo. Walk hands in hands, see birds chirping, monkeys playing and deer’s running. These are the few creative date ideas for couples, which don’t require any expensive budget and can make your lover feel special. 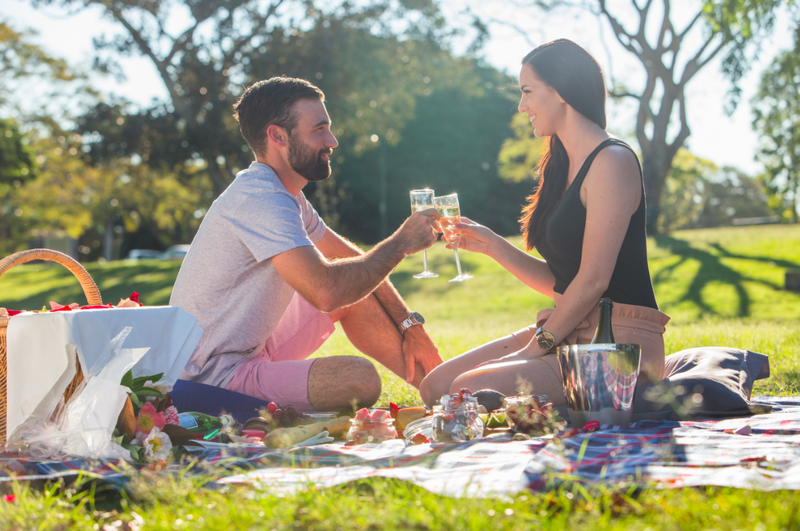 Try these romantic date ideas for her and thank us later. 8 Signs He Likes You Too!